I just want to thank everyone for the discussion. Lots of things to think about. This celebration of mediocrity that Mark, TJR, Pres and others have brought up is a trend that has been going on for decades within our society and has spilled over into the now grown children of our society. It is ingrained in many of us from an early age so trying to turn the cart around is going to take more than an honest critique, it is a societal issue. The Dunning-Kruger effect contrasts the self-perception of skilled and unskilled persons. Their research looks at the metacognitive inability of the unskilled to recognize their ineptitude and contrasts this with the skilled. Of course what is â€œskilledâ€ is open to debate but craftsmanship is my first thought. It is even more difficult to deal with those that for some reason or other have had high acclaim from teachers or professors on the quality of their work when I see obvious immature flaws in design elements involving line, color, value etc. Seems to me that sometimes misdirected praise must have other concerns rather than the work. One of the huge issues that us college professor types get with new incoming students is that they often were the "stars" of their high school classes. Tons of praise, awards, and so on. Many were "big fish in small ponds" and were able to "cruise" to float to the top. Because of college admission standards... they don't realize that the pond just got bigger. Then they get to college and instantly expect the same grade and acclaim outcomes for the same level of work in their first couple of years. We spend the 4 undergrad years teaching them to see what they are looking at and think critically. And in between... also teach many of the various techniques of ceramics. ......... it is a societal issue. well yes that would be a huge toss rate assuming you made a lot of pots. Since you are posting this in the business section I'm a little unsure of your original post though. You mentioned that you examined high end pottery at the mall with the flaws you mentioned so I didn't get the impression that you are talking about new potters, as some here are suggesting, but rather professional potters that are selling flawed work. I think most agree we shouldn't sell flawed work but in your post you clarified these flaws as being even the slightest surface issue down to even one pin hole. I'm just not sure that's realistic for folks that make and sell pottery for a living or do I even agree its even a good standard since it leaves no room for interpretation or individuality and what is art without that. While I respect your dedication to your craft I worry that you have come to the conclusion that only tight flawless work has merit. I also got the impression that it may have really taken a lot of the joy and fun out of pottery for you since you had to cycle through so many pots to produce the flawless ones. If nothing short of perfection is acceptable then hand crafted pottery is a tough one. 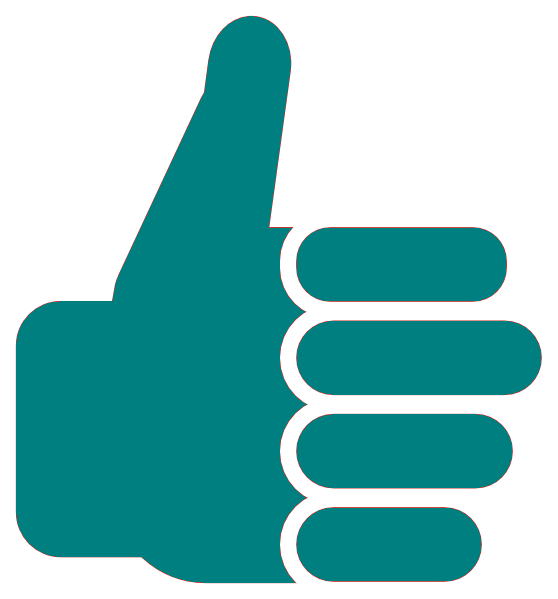 I like your post a lot. I don't think that flawless pottery is the only way to go, and maybe it came across that way too strong. Mainly what I was getting at is I see things that are obvious defects when the potter wasn't attempting to achieve that result, or at least I don't think they were. (smooth surfaces with pinholes, or glaze not fully melted on a beautifully designed cup with silky smooth glaze on the outside) Simple things like that, where I think the pot shouldn't hit the market is all I was speaking of. I understand flaws are there, but just because it's hand crafted doesn't mean we should accept that it should be a lesser quality of work containing defects when we didn't put them there on purpose. I guess that's my main point. If you open your kiln and see a bowl that has a defect and you weren't trying to achieve it, if the defect effects the state of the pot where it degrades your work, I think it should probably get the hammer, no matter how much work you put into it, or keep it for personal use. I have hammered probably 95% of my work in 2 years. I have made some beautiful stuff, but the next load is always better than the last, so I hammer the previous stuff and throw it away. If I settled for what I had made, and I stuck to that grade of work, I wouldn't push myself to improve. I personally don't just want to be a good potter, I want to be the best potter I can be. Pottery is a huge joy for me, even if I don't have a lot of work to show for it, the works I do have are very special to me and mark points in my path where I felt I overcame a problem. I feel like I dream of pottery and fall asleep at night thinking about it. I wake up in the morning with fresh thoughts and ideas that I want to try. Really I am pretty obsessed. I love it. What is interesting is that my favorite pots are Japanese influenced that are very loose thrown(but controlled) and rough in surface texture. Well first off it sounds like you have found a wonderful passion in life and that is fantastic. If you ever decide to sell some of your work I am sure it will be beautiful and well received. Ya know I failed to ask an obvious question. Are you talking about art pieces or functional ware with some art mixed in? The later is I think well represented among studio potters selling their work as a business and often trying to make a living from it. The wonderful thing about the business of art is that you are doing something that is so enjoyable as your source of income, if you can figure it out. I do get that you don't dislike everything with a flaw as long as its obvious that it was an intentional flaw. Japanese influenced pots are a wonderful example of this. I think some may have read it that way so a lot of responses went with the 'newbies should get better before they force people to buy their crappy pots' angle But no I got it, you just don't understand why professional potters are selling things with surface flaws, even minor ones. you did up the criteria from 'a single pinhole' to 'if the defect effects the state of the pot where it degrades your work' but do you really find 95% of your work falls to that raised level and thus destroyed? If your a good potter and you are throwing away 95% of your work then I am assuming that you are only keeping racers and tossing the rest if its functional and art pottery isn't usually so tight that a pin hole here or there or some other non detracting surface flaw will cause a failure so I am assuming you mean mostly functional with some art and you only keep the ones that have no surface flaws, at all. I guess you could do this for a long time and gradually eliminate every variable you can find to the point that you are producing more and more pots that make the cut but I bet your toss rate stays up there and that makes it sound like to me this could never ramp up as a living unless you go with very high end artwork. Maybe you should consider that. I think your approach would work in that world with art pieces since you can raise the price to accommodate the high cost but its going to be tough if you don't have the background credentials to get noticed, accepted and thus get those prices. Having said that though, the stuff you are keeping is the best of the best so maybe the work itself will break those barriers. If you want to find out I think you would have to just get your setup figured out (tent, table, display, cc reader etc etc) and take a booth shot and some pictures of your best work and try to jury in to the higher end fine art shows in your driving range. Could take a while to get into many but as your build your portfolio and gain some experience maybe the doors will open for you. It is the holy grail of this journey. Successful artist at these venues can make a very good living selling a few high end pieces each show and what better life huh? But folks are only going to pay so much for a mug and if you throw out 95% of your mugs you're not going to be making your living selling them, at least I don't think that will pencil out. Now if you can put out racers with more like 20-30% cull then you could aim at the top of the functional market with $35 mugs and $200-$300 bowls but that means a smaller market and might mean no/low sales until you find your market. Nothing will take the wind out of your sails faster than paying $1000 in fees and expenses to sit at a table and make no sales to even offset that grand, much less all that went into getting there and the time of being there. I personally don't think slight imperfections in a $22 mug is even a flaw. I think it's part of the process, often a beautiful part of the process. I guess I am suggesting that if I were you, instead fixating on that aspect of pottery I would spend more time trying all the different making processes and firing methods. You have a passion for pottery and if you are in the 50+ crowd like I am only so many years left to enjoy Pottery. I just don't think the whole ball game is making sure every single pin hole was planned. 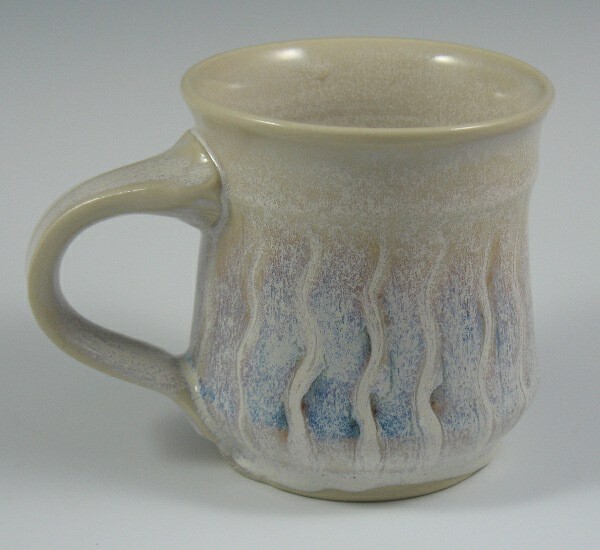 You can still have high professional and artistic standards and accept something slightly less than perfect and still proudly sell a beautifully thrown and glazed $22 mug. grype, i think i can tell you how at least a few things get into shows even though they have flaws. i was so pleased with the new shape of the small cracker tray, and excited by the smooth black glaze and wowed by the spirals of brilliant gold surface decoration that i did not notice the flaw until someone wanted to buy it. somehow the entire corner of the underside did not get any glaze. almost as if i had held it and my thumb acted as a resist. but angular. just missed it by that. much. the person who wanted to buy it was another potter. i could not let it go. it sits there, in my studio reminding me to look at the WHOLE thing before putting a price tag on it. love the article about inflated self image and inability to think critically. applies to many politicians. I agree in principle about striving for the best craftmanship and creative level possible. But as I age I have come to accept less than perfect standards about what I do - part because of physical limitations. my stuff might not be the most exquisitly crafted but I try to make up for it in creative spirit. But its all sculptural and not functional. For $1000 I can make 100 pots at $10.00.......... 10 pots at $100.00..... or 1 pot at $1000.000. Same gross. Which approach is less wear and tear on equipment, body, and environment? How does the "standards" of what is saleable figure in there? If one is working on the high end.... the standards have to be high, technically and aesthetically. The customers will expect that and are well aware of what is good work. I personally don't wholesale but feel wonderful selling beautiful $22 mugs directly though and the people that buy them seem to both appreciate and enjoy owning them. At the fine craft shows we do mugs are really a big part of the demand. It's just something that I think a lot of people that like hand made pots like and they often pick up other more expensive items when they do. The process of pushing a hundred mugs through the process is far from awful. Throwing sessions are a blast, try a little classic rock and make sure your wheel has a good view. Great gig. I know we have a cabinet full of imperfect mugs that we didn't sell and I love picking through them everyday when I have my first cup. We cycle them through to always be the 20-30 our cabinet will hold, except for a few favorites that will be there until they break. Oddly enough I gravitate to the very first successful mug I threw years ago after spending 6 months cutting all my efforts in half. I'm sure anyone would call it challenged, although it has no visible flaws but I love this mug and it feels right when I use it. But yeah it is a much different pursuit than making a hundred $1000 pots and selling them every year. Just to note that $45 - $75 is about mid range for mugs .... very many are higher ... $135 - $175 ... but they are usually exquisite pieces by well known potters. I have said this before and will say it again and again .. There is more than one 'customer' for pottery. They have all ranges of income and will gladly pay the price for good work. Ask any potter who has worked a craft show with an "Opening Night Gala" and they will tell you how pleasant that evening can be. As much as I would love to say you get financially rewarded for absolutely perfect work .... I think for that to happen, you need a knowledgeable person who can look at the piece and know it is good. I should clarify Stephen that the main reason I hammer work is because I have only been in pottery for a little under 2 years, and I still feel like the work isn't worthy of being held because of my glaze work. 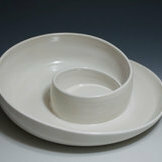 My forms are pretty good as I spent the last 1.5 years working on nothing but form(bowls & mugs). I have been practically working on glazes(reformulating them for what I need) for the last 5 months trying to prefect 3 glazes to what I want them to do. I am getting closer, just posted some of my newest glaze test in my gallery. Good information here and thoughts, I appreciate all the comments everyone has made. Lots of things to think about in life and pots. It sounds like you have really put in the hours though and I bet your work is fantastic. It sounds like to me your search for perfection is part of the joy in your work, I will go check out your gallery. I think my strive to get close as I can reasonably to perfection, is very much a part of my joy. My gallery doesn't contain much. Just a lot of test stuff and some practice stuff. Although u can get a look at the colors I am trying to accomplish. I plan to start actually making pots again soon. All things that will fit in one size of a box(related to the etsy thread). I will post that work when I feel it is ready to sale. I just want to say I have enjoyed our discussion and it made me think further about who I am as a crafter. I understand what your saying. I was a collector of pottery before I worked with clay. It is easy to determine what a really good pot is when you have seen many in person. Holding and feeling a pot is as important as appearance, I think. With feel comes a sense of wholeness that even a perfectly glazed pot cannot overcome if poorly made. I have pots with runny glazes, crawling, pitted surfaces, and translucent carved Celedon. They all feel beautiful in my hand. Last night I went to a local shop. It carried handmade wares from 90 different artist. I picked up a mug by a very well known local artist. The stone ware mug was quite thick. And when I looked at the foot I was taken aback to see an s crack. I like this persons work, but I couldn't bring myself to buy something. I wondered at the time if the potter had not noticed the crack. But the shop had. They had placed the price tag over it. I have a bit of a problem with the idea that one should sell work with certain flaws only if one intended for those flaws to be there. For one thing, if it's something that you consider to be a "flaw" then why would you intentionally add that to your work? But more importantly, one of the things I like best about clay is the uncertainty of the firing. I don't want the firing to go exactly as I planned it to go in every detail. I want those unexpected accidents that lead to new ways of seeing one's work. If you are unwilling or unable to accept uncertainty, you are missing out on one of the primary pleasures of this art form. With this uncertainty come imperfections. It's inevitable. Some of your pieces will be worse than you feared, and some will be better than you hoped. If you can accept this uncertainty, then you will always have decisions to make at every kiln opening. As in "This pot is more beautiful than anything else I've made this year, but it has a couple pinholes in the glaze." You have to decide which is more important, the beauty or the technical flaws. Will introducing that beauty to the world be better than protecting the world from a couple of pinholes? I think every good functional potter makes this sort of decision constantly. A while back I started a thread asking if folks thought I should discard one of the prettiest mugs I've made so far this year because the glaze flowed down over the foot and had to be ground smooth. I got various responses, but I found most useful the implication that if I was in any way ashamed of the piece, then I shouldn't sell it. That was very good advice. I finally decided that if I were wanting to buy a mug, I would prefer to have one that was beautiful rather than one that was perfect, in utilitarian terms. I put the mug in my etsy shop at a much higher price than my other mugs. If it doesn't sell I'll be happy to keep it.